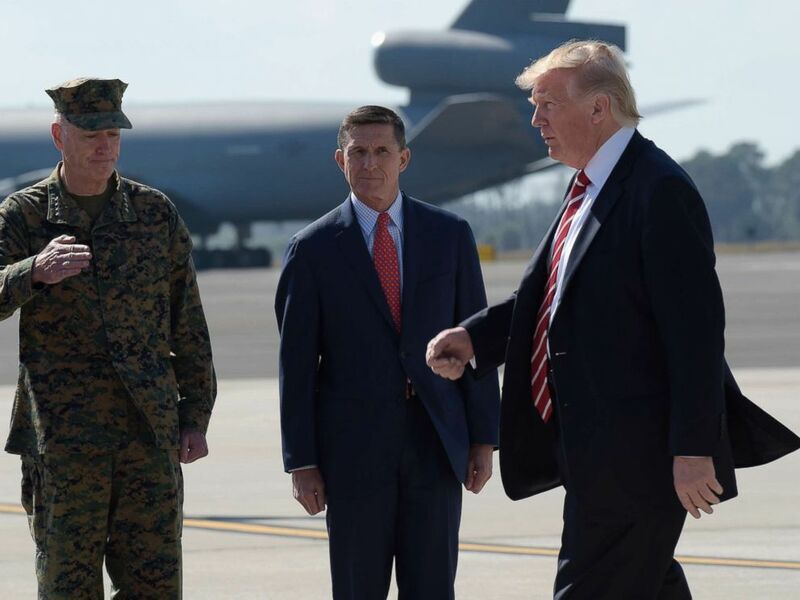 The lawyer for President Donald Trump’s former national security adviser Michael T. Flynn met Monday morning with members of special counsel Robert Mueller’s team — the latest indication that both sides are discussing a possible plea deal, ABC News has learned. Trump’s legal team confirmed late last week that Flynn’s attorney Robert Kelner alerted the team that he could no longer engage in privileged discussions about defense strategy in the case — a sign Flynn is preparing to negotiate with prosecutors over a deal that could include his testimony against the president or senior White House officials. That process would typically include a series of off-the-record discussions in which prosecutors lay out in detail for Flynn and his lawyers the fruits of their investigation into his activities. Prosecutors would also provide Flynn an opportunity to offer what’s called a proffer, detailing what information, if any, he has that could implicate others in wrongdoing. 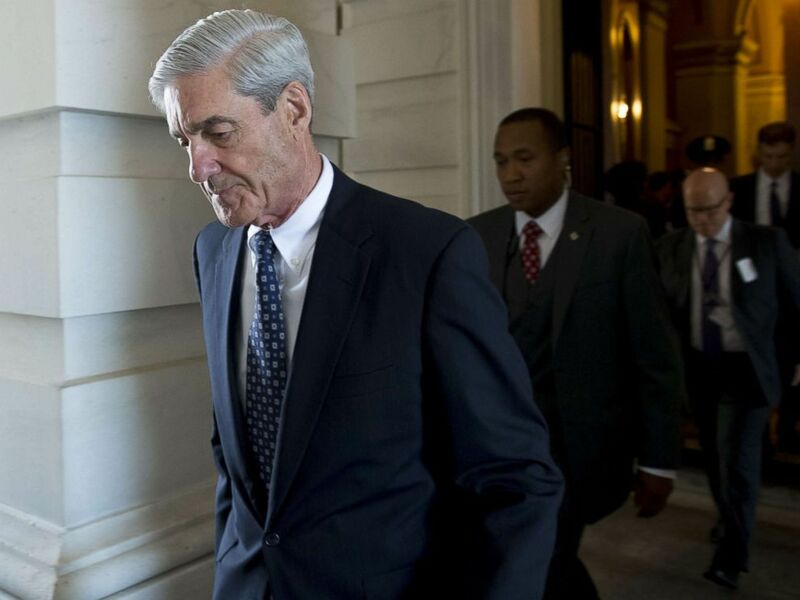 When reached Monday, Kelner declined to comment on the nature of his morning visit to Mueller’s offices in Washington, D.C.
Sources familiar with the discussions between Flynn’s legal team and Trump’s attorneys told ABC News that while there was never a formal, signed joint defense agreement between Flynn’s defense counsel and other targets of the Mueller probe, the lawyers had engaged in privileged discussions for months. “No one should draw the conclusion that this means anything about Gen. Flynn cooperating against the president,” Sekulow said. The New York Times broke the news, calling it an indication that Flynn may be cooperating with prosecutors. Michael Flynn Jr. is seen behind his father, retired Lt. Gen. Michael Flynn, as they arrive at Trump Tower in New York on Nov. 17, 2016. Sources familiar with the Flynn investigation have told ABC News the retired lieutenant general has felt increased pressure since prosecutors began focusing attention on his son, Michael G. Flynn, who worked as part of the Flynn Intel Group, the consulting firm founded by the elder Flynn, a former head of the Defense Intelligence Agency. Michael G. Flynn also traveled with his father to Russia in 2015 for his now famous appearance at a Moscow dinner where he sat next to Russian President Vladimir Putin. Democrats in Congress have told ABC News they forwarded information to the Mueller team alleging that Michael T. Flynn illegally concealed more than a dozen foreign contacts and overseas trips during the process of renewing his security clearances. “It appears that General Flynn violated federal law by omitting this trip and these foreign contacts from his security clearance renewal application in 2016 and concealing them from security clearance investigators who interviewed him as part of the background check process,” Reps. Elijah Cummings and Eliot L. Engel, both Democrats, wrote in a letter to Flynn’s attorney. The letter highlights information House investigators collected from executives at three private companies advised by Flynn in 2015 and 2016. The companies were pursuing a joint venture with Russia to bring nuclear power to several Middle Eastern countries and secure the resulting nuclear fuel before Flynn joined then-candidate Trump on the campaign trail. Flynn is a decorated military officer who served as director of the Defense Intelligence Agency from 2012 until his retirement in 2014. He was out of the spotlight only briefly. He joined the Trump campaign as an adviser in 2016, and Trump later named Flynn as his first national security adviser. He was forced to resign, however, after just 24 days on the job, when it was revealed that he misled Vice President Mike Pence about his conversations with Russian officials during the presidential transition. Robert Mueller, special counsel on the Russian investigation, leaves the U.S. Capitol in Washington, D.C., June 21, 2017. Cummings told ABC News that Flynn’s foreign contacts — which involved high-ranking foreign officials and business executives — were so numerous they could not have been inadvertent omissions or incidental contacts. “He has, over and over again, omitted information that he should have disclosed,” Cummings said. “It’s not an aberration, and that’s clear. Flynn’s lawyer has declined to comment on the letter, and when ABC News tracked down Flynn this summer at a beach in Newport, Rhode Island — his hometown — he didn’t say much more. The alleged omissions could be a serious matter — and not just for Flynn. While Cummings said intentionally omitting foreign contacts when applying for security clearance can carry a five-year prison term, he acknowledged that penalties are rarely so severe. The leverage the alleged transgressions provide, however, could prove useful to prosecutors seeking to use the threat of prosecution to compel Flynn’s assistance in the broader investigation into Russian interference in the 2016 presidential campaign. Former FBI Director James Comey provided a window into that strategy during his three hours of testimony before the Senate Intelligence Committee earlier this year. “There is always a possibility if you have a criminal case against someone and you bring them in, squeeze them, flip them, [that] they give you information about something else,” Comey said. The alleged omissions are just the latest to make trouble for Flynn. He failed to declare a December 2015 trip to Russia, where he sat next to Putin and for which was paid $33,000. In March 2017, Flynn submitted a late filing with the Department of Justice under the Foreign Agent Registration Act, revealing that the Flynn Intel Group was paid $530,000 for three months of work on behalf of a Dutch firm owned by a Turkish businessman with close ties to the Turkish government. President Donald Trump walks in front of National Security Adviser Michael Flynn and Joint Chiefs Chairman Gen. Joseph Dunford, left, and after arriving at MacDill Air Force Base in Tampa, Fla., Feb. 6, 2017. Flynn’s work for Turkey remains the subject of additional scrutiny. Of interest to federal agents, according to people interviewed by the FBI, is his alleged role in a bizarre, unrealized proposal first reported by The Wall Street Journal to kidnap Turkish dissident cleric Fethullah Gulen, who is living in exile in rural Pennsylvania and is suspected of involvement in a failed coup attempt. Gulen, who has denied involvement in the coup attempt, has lived legally in the Pocono Mountains since 1999, and the Turkish government has been financing efforts to persuade the U.S. government to return him to Turkey for years. Former CIA Director James Woolsey confirmed for ABC News he was at a meeting in which Flynn allegedly raised the idea. 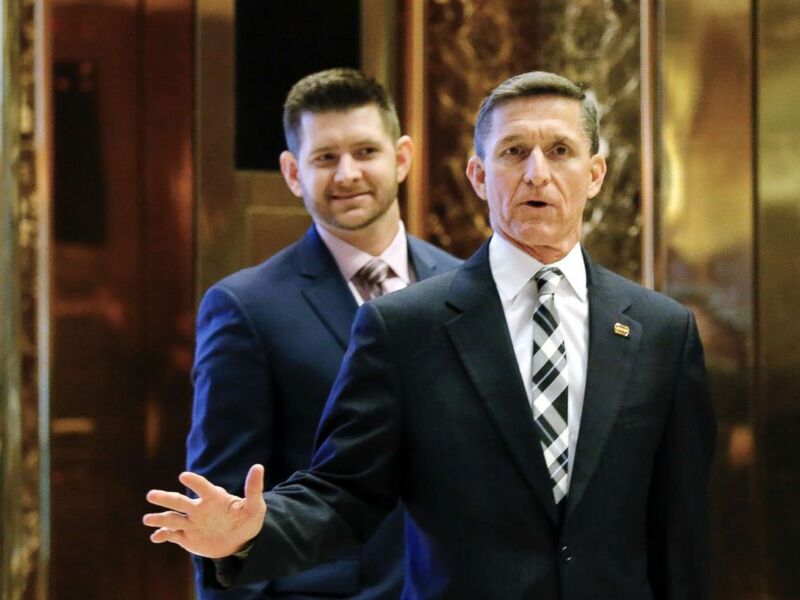 Kelner, Flynn’s lawyer, took the rare step of publicly refuting those assertions, saying there was no such discussion and calling them categorically “false.” In mid-July at a press conference, the Turkish ambassador to the U.S. also denied the notion of a kidnapping plot. 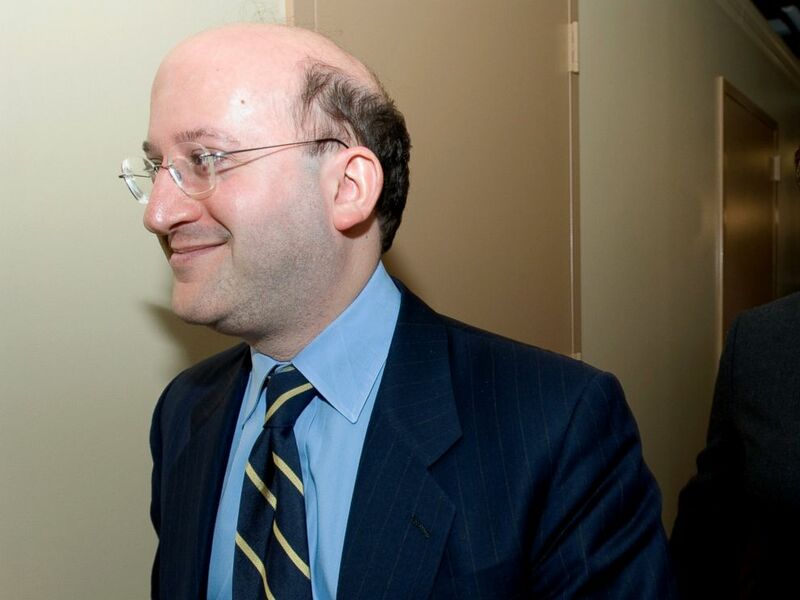 Robert K. Kelner is seen in this Oct. 23, 2006 file photo in Washington, D.C.
ABC News’ John Santucci contributed to this report.